Games begin this weekend Mar 30/31st. Please check the calendar or visit: https://sandiegosol.com/league-schedule/ for updated game information. 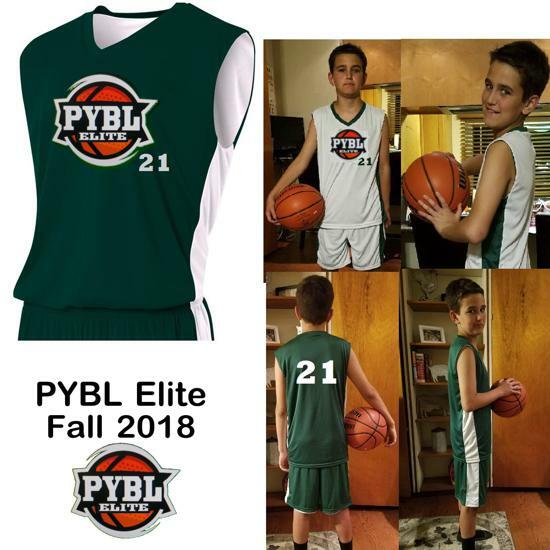 PYBL Elite is a new program (founded Spring 2018) designed to give PYBL players an opportunity to play year-round basketball. All players who reside in Poway or who have played PYBL are eligible to tryout for the PYBL Elite program. Teams will complete in local club leagues around San Diego county. Two weeks remaining in the PYBL Elite Summer Season, check the calendar for game information. The kickoff for the PYBL Elite Fall Season will be Sept 12th @ Meadowbrook Middle School Gym. More details to follow. Our 10u team played a very talented South Bay Bulls team. The final score was 30-19 but the game was very competitive. The South Bay Bulls went all the way to the finals, and lost in overtime to the San Diego Prospects. Our 13u team played a nail biter against All Net. Despite trailing by 9 at half, we had a one point lead with under 30 seconds left, but ultimately got beat by a last second three pointer 39-36. Our 14u team fought hard against an undefeated Chula Vista Hawks team, and only trailed by two points at the half. The Hawks finally prevailed 41-30, but the game was a battle until the final whistle. The Hawks made it to the final, but were upset 39-38 by the Oceanside Warriors ( a team that our PYBL 14u team beat during the regular season). Despite a slow start by all the teams this season (1-4, 2-3, 0-4), the teams caught fire at the end of the season and finished strong (4-4, 5-3, 4-4).